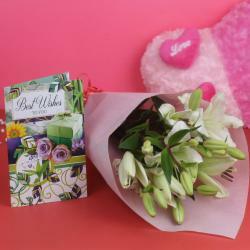 Product Consist : Hand Tied Bouquet of 10 Red and white Roses, 1/2 kg Butterscotch Cake (Mgs on cake : I Love You ) along with Birthday Greeting Card. If there is one gift that will spoil your special one silly with your unconditional love, then it is this plentiful hamper, brought to you by Giftacrossindia.com. 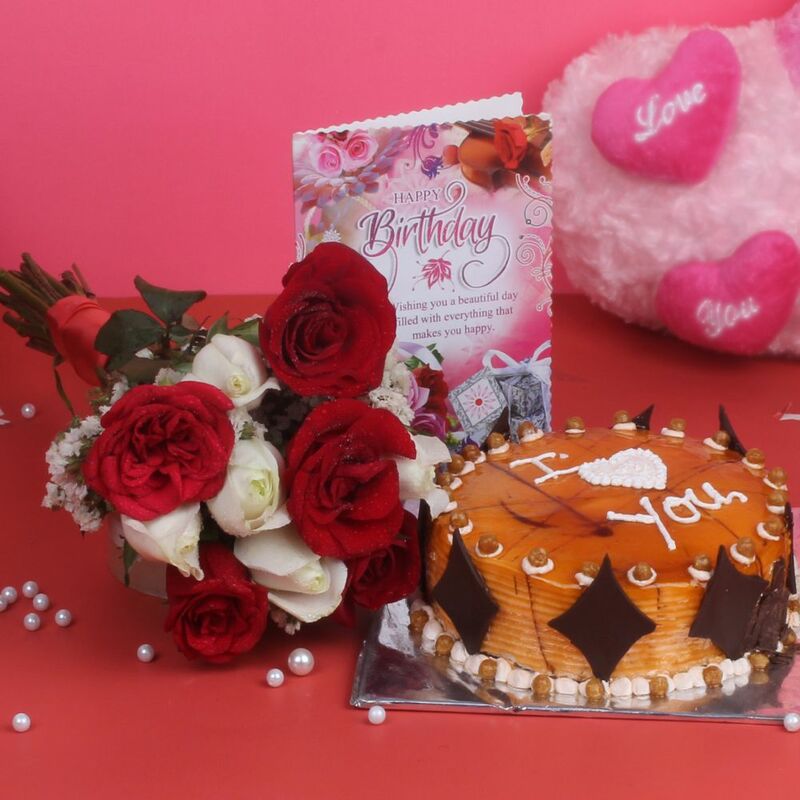 The hamper consists of a classic ten mix roses, a 1/2 kg Butterscotch cake, birthday greeting card, and a scrumptious half kg butterscotch cake in round shape that is covered with yummy chocolate chips. 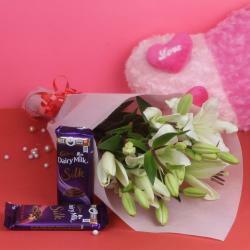 Place order for this awesome hamper online and let the recipients know how special position they hold in your heart. 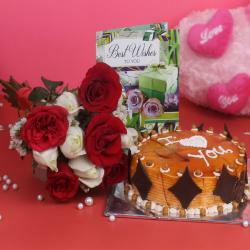 Product Consist: Hand Tied Bouquet of 10 Red and white Roses, 1/2 kg Butterscotch Cake along with Birthday Greeting Card.